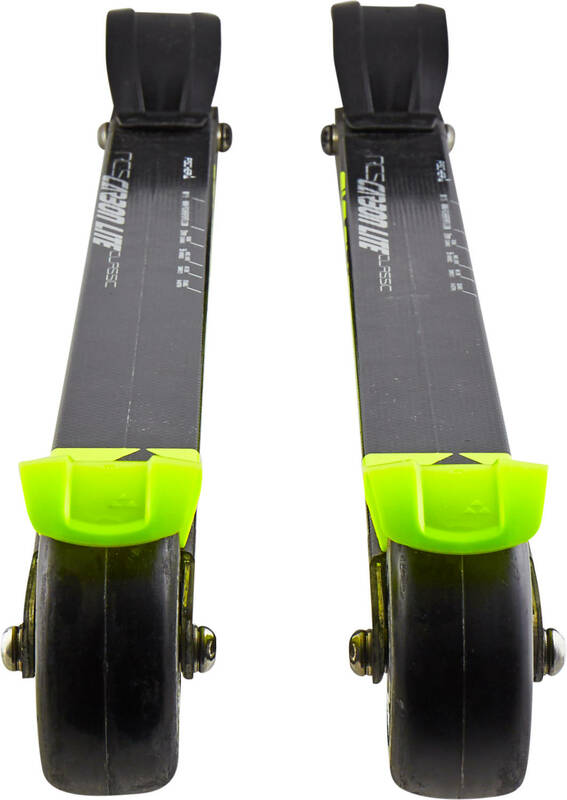 Top model classic rollerskis with a perfect balance between weight, power transfer, and rigidity. The Carbonlite classic rollerskis are equipped with fast and large-sized 80mm wheels with an integrated reverse lock on the rear wheels. The Air Core composite frame structure with thin woven carbon fabrics helps keep a lower weight without losing rigidity and power transmission. The Carbonlite from Fischer is a great choice for demanding rollerskiers.